Impacts of Mars/Mangal in 12 houses of kundli, how it affect our life, astrologer for horoscope reading and astrology tips for successful life. One of the planet related to strength, power, courage, weapons, relation with brother, uncle etc is Mars/Mangal. It is a fact that good and auspicious Mars makes the person useful for society whereas inauspicious may makes criminal and gives struggling life. Good mars bless with progeny, power, courage etc. MANGLIK dosha also arise if Mars sits in specific houses of kundli like as Ist, 4th, 7th, 12th etc. 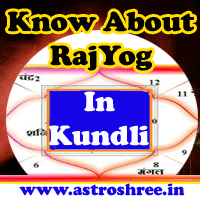 Mangal when sits with rahu or ketu then "Angarak yoga forms in kudndli which gives arise to struggle". It is very necessary to balance the power of Mars in life to live a comfortable and successful life, so if it is generating any malefic impacts then it is good to do remedies as soon as possible. Here the mangal generate mangalik yoga but the person becomes courageous, powerful and ready to accept challenges in life. It also makes the person short tempered. Person like justice and good people. Person also gets benefits from property. Here if malefic Mars is present then person becomes negative and may have criminal mind and also struggle in life to to live life smoothly. Here the Mars makes the person kind hearted and caring, relationship maker, Person also gets benefit from In-laws. Here mars also makes the person responsible. In laws always ready to help the person. In case of debilitated, malefic or weak mangal results may be negative or less. Here the Mars makes the person good with Uncle, brothers. Person is rational minded and is good in planning and implementation. In case of malefic mangal the person faces problems in making relations with brothers. Some type of conflicts, misunderstandings disturb the life. This house is the house of luxury, happiness, mother and so here good mangal makes the life happier where as bad mangal affects the health of mother, personal life, health etc. So it is good to adopt good remedies to minimize the impacts as soon as possible if it is creating problems. This house is the house of progeny, education, luck etc. So good mangal enhances the luck, gives peace of mind, help in getting good education, helps to maintain good relations with children. In case of malefic mars or mangal the related results may gets changed. Here the auspicious mangal helps to dominate enemies and also helps to live a healthy life where as the malefic mangal gives arise to venereal diseases, internal problems, hidden enemies problems, It also affect the internal strength etc. Here mangalik yoga forms and disturb the marriage life if proper measures are not taken. It also disturb the business life and partnership. In case if mangal is sitting with malefic planets or rahu, ketu , shani then it may arise divorce problem or legal issues, So do take care always. Here mangal affect the health of person, age of person, relations with others, Inauspicious Mars generate different types of obstacles in personal and professional life. Here if good mars is present then person is blessed with ancestors property, luck also supports the person, Name, fame, money, success from all directions makes the life smooth. The house of Job, work, profession, career, livelihood. Here the Mars makes the person successful in administration. Person have the courage to face any types of challenges in work environment. Person can make career in defence services, courageous work, sports etc. Malefic mangal creates struggle in life. This is the income house and good mars open the ways of income here and no doubts makes the life fruitful and helps to live a financially sound life. Person also gets benefits from pets. Here if powerless mars is present or malefic bhom is present then person faces too much obstacles in getting a stable livelihood. This is the expenses place and person do spend money here and there so find problems in saving. So it is necessary to control the mind and take every decision with a calm mind. So above some impacts are given , if you think that Mars is disturbing your life then it is good to consult and show your horoscope for proper solutions. In case weak mars it is also good to take good remedies to make it strong. Make your life smooth by adopting the astrology ways.